Black deluxe bendy rubber coated clothes hangers sold as a box of 120 hangers. 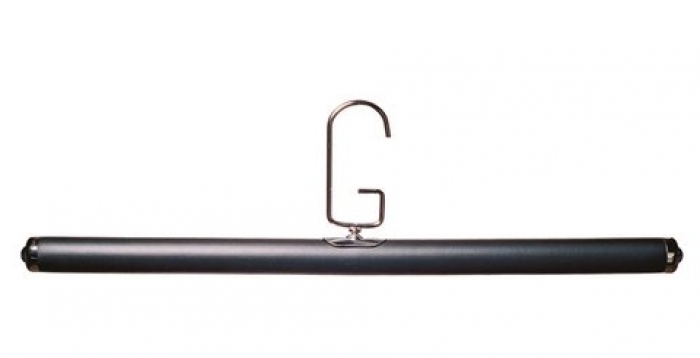 These deluxe bendy hangers are 53cm Wide (530mm) with a 25mm diameter and come with a chrome hook. Can be moulded and bent into any shape due to their wire frame covered in an outer black foam with end caps so these can be shaped around your garments. Ideal for knitwear, for retail & domestic use.